Elizabeth Gilbert Author of “Eat Pray Love” realize who the right love was? What sadness made Elizabeth Gilbert Author of “Eat Pray Love” realize who the right love was? 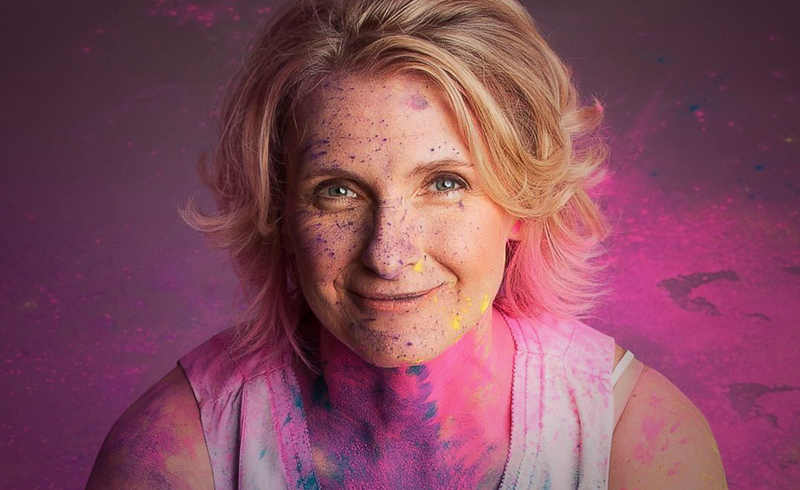 Elizabeth Gilbert, the Author of Eat pray love has revealed that she in love again and wants the world to know it. Last July the award-winning celebrity announced that she and Her husband Jose Nunes were ending their 10-year marriage for personal reasons and that the split was “amicable.” But last Wednesday in an emotional Facebook post, she revealed the true nature of her breakup, and the heartache she is now living with and facing. Elizabeth explained: “There is something I wish to tell you today- Something which I hope and trust you will receive with grace.” She went on to explain that she was in love with her female best friend Rayya Elias and has been for some time. Sadly, Rayya has been diagnosed with pancreatic and liver cancer, and there is no cure. She went on to explain that when faced with the reality of death, the final moment. It allowed her to tear away all the un important things in life and see things for what they really are. Elizabeth’s post was straight from the heart and admitted that this has an impact on her marriage. It was the reason she had to end her 10 yearlong marriage and make the most of the time she has left with the woman she loves. She explains that she is walking this “cancer journey” with Rayya and she knows it is exactly where she needs to be. And that is the only place she can be. The couple had held back on revealing their true feelings due to concern for their families, but as time is short it has to be the best it can be for both of them. Gilbert said, “For reasons of my own integrity and sanity, I need to be able to walk into any room in the world with Rayya on my arm, feeling relaxed enough to stand comfortably in simple openness about who we actually are to each other.” She concluded.” If I can’t be my true self, whether at home in privacy or out there in the real world in public, then things will very quickly get messy and weird and stupid in my life. Sadly, this story is all too common. Too many people close their eyes on the last day having never be allowed the freedom of loving the person their heart had told them to love. And why? Because of other people’s opinions. Other people who after passing judgment on your life, turn to their own life and live contented with their heart’s desire. Their happiness doesn’t concern you, but your happiness would make them unhappy. And that in their eyes is enough reason for you to have a miserable existence. No one should sacrifice that part of their life for someone who is not walking their walk. What do the cards say for you, Elizabeth Gilbert? The Ace of Coins shows that as you have said, you have realized what is true in the world. You have realized What part of your life is worth working at, and you have chosen wisely. Sadly, as you know the time may not be as long as you wanted. But it’s about quality now, not quantity. Fill this time with as many memories as you can, because they are something you can keep, and they are of true value. The Ten of Wands is the family energy and the bond between the two of you. It is wholesome and strong. It’s important not to let the sadness of the condition overwhelm the time you have left. As a spiritualist, I know in my heart and soul this is not the end. It is a transformation. As natural as we came from the womb to this world, so we will go from this world to the next. The knight of Cups indicates your emotions and the strength it took for you both to take the step in revealing this to the world. It was gallant and unselfish, and worth every moment you have together. We here at 7th Sense Psychics would love to take this opportunity to wish you both every happiness in whatever time there is to share that happiness. Every sunrise is a new opportunity and a new day. Embrace it. Previous ArticleCalvin Harris seen stepping out with a new lady. Is the DJ dating again?Next ArticleMadonna loses out to Guy Ritchie. What’s next for Madonna?